NetSuite OpenAir is the world’s #1 cloud Professional Services Automation (PSA) software. From asset administration and project tracking, to time and cost management, bookkeeping and advanced billing and invoicing, Netsuite OpenAir automates the entire services delivery life-cycle through an effective and affordable Software as-a Service (Saas) suite. NetSuite’s professional services solutions are utilized today in over 1,500 service-based businesses around the world. 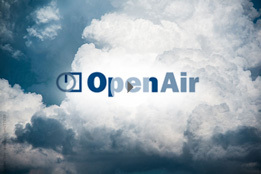 NetSuite OpenAir is demonstrated to rapidly drive measurable results— expanding asset usage, project accounting and on-time services delivery while driving down IT expenses, reducing accounting and overhead, and accelerating billing cycles. NetSuite Openair helps enhance billing accuracy, streamline financial reporting and improve visibility into your services-based business.